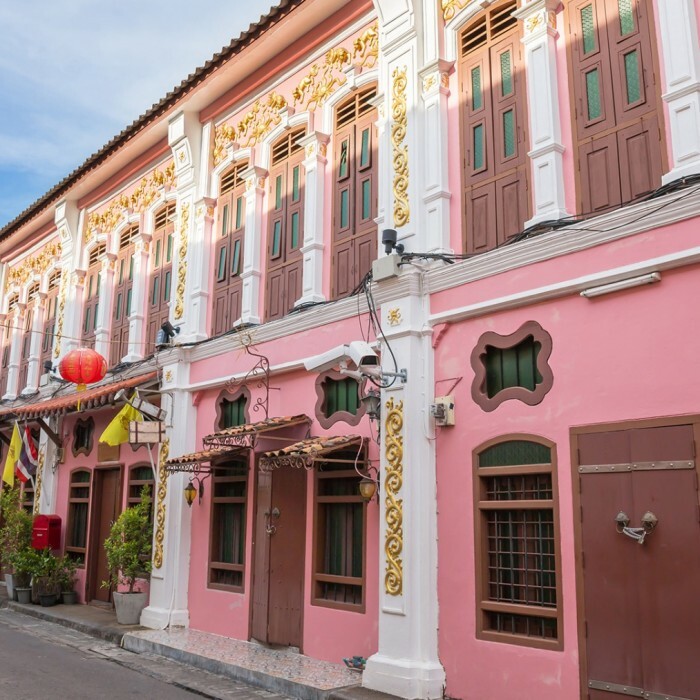 Phuket Old Town was built on riches reaped from Phuket's tin boom of last century. 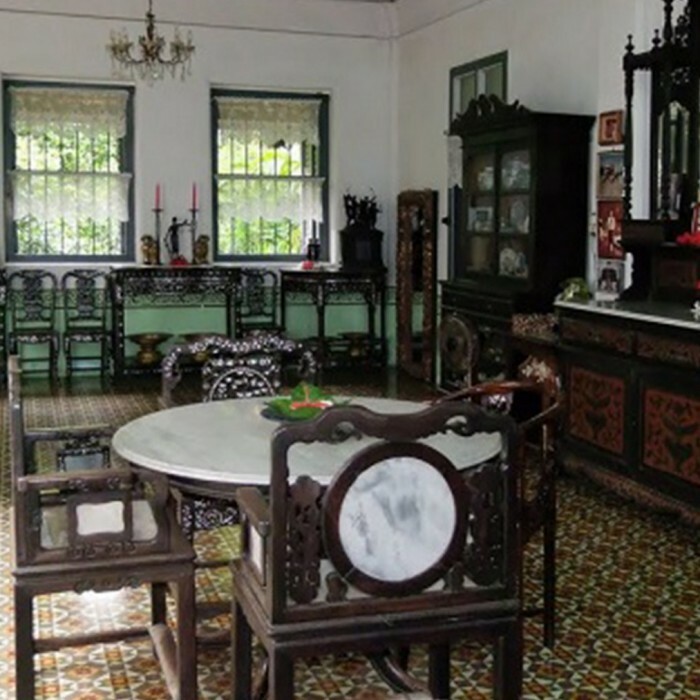 In this quarter of the town, you will see grandiose Sino-colonial mansions, once occupied by Phuket's tin barons of 100 years' ago. The area is compact enough to stroll around in; the best time to do this is early in the morning or after the day has lost its heat. While the sun is still out, visit one of Phuket’s 29 Buddhist temples. Wats, or Buddhist temples, are among the most important symbols of Thailand, partly because the majority of Thais are Buddhist and partly because they are so beautiful. The island’s most frequently visited and biggest temple is Wat Chalong, located at the Chao Fa West Road. The temple was made and built in the nineteenth century. Wat Chalong has been extending a warm welcome to visitors for over a century. The Grand Pagoda dominating the temple contains a splinter of Lord Buddha's bone. The pagoda is decorated with wall paintings depicting the Buddha's life story and also features various Buddha images. The temple is open from seven in the morning to five in the afternoon. It is one of the island's most important and revered landmarks on the island. The huge image sits on top of the Nakkerd Hills between Chalong and Kata and, at 45 metres tall, it is easily seen from far away. The lofty site offers the best 360-degree views of the island, with sweeping vistas of the island. This spot additionally serves as a gallery and museum portraying the historical backdrop of the Big Buddha. Easily reachable via a six-kilometre road leading from Phuket's main artery route, it is a must-visit island destination. It is a popular Chinese temple, crucial in the lives of the islanders. 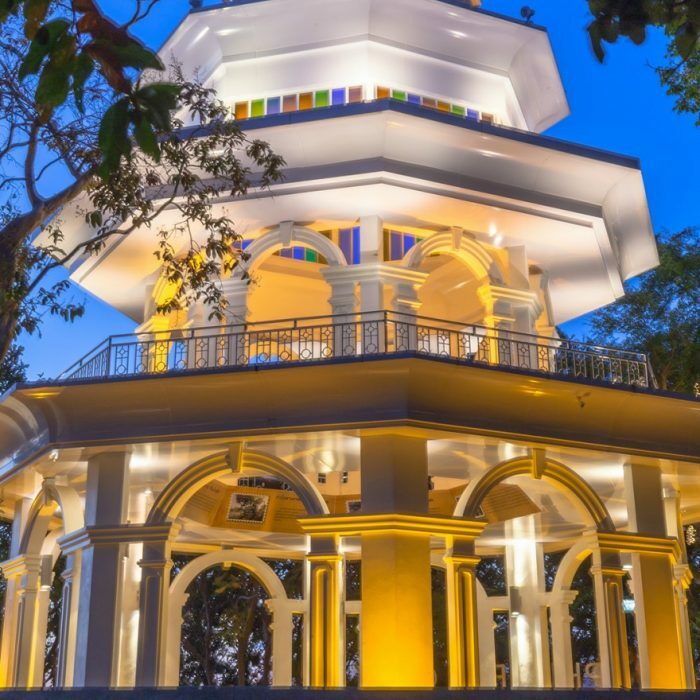 Located on Phuket Road, not far from Phuket’s local market, it’s a must-see site for all newcomers to Phuket as one of the oldest and the most respected spiritual centres around. Locals often gather here to celebrate as well as to share their sorrows and hard times in life. The principal Chinese deity here, Tean Hu Huan Soy, is very much counted as a senior family member by locals. The shrine plays a pivotal role in the Phuket Vegetarian Festival, an annual event held during the ninth lunar month of the Chinese calendar. It is believed that the vegetarian festival and its accompanying sacred rituals bestow good fortune upon those who religiously observe this rite. During this time, local residents of Chinese ancestry strictly observe a 10-day vegetarian or vegan diet for the purposes of spiritual cleansing and merit-making. Entranced devotees known as “Ma Song” perform sacred rituals such as walking barefoot over hot coals and ascending ladders with bladed rungs. The ceremonies of the festival take place in the vicinity of the six Chinese temples scattered throughout Phuket, with the main temple being Jui Tui shrine. One of the most popular spectator sports in Thailand, and now gaining global momentum, is the martial art form of Muay Thai Boxing. The furious punches, crushing elbow strikes, lethal kicks and artful feints are even more riveting when seen live. Witness the passion and drama of Thailand's national sport amidst crowds of onlookers whose cheers blend with the strains of high-pitched Javanese clarinets, and drums and finger cymbals that accompany the fights from beginning to end. For tourists in the Patong Beach area, nightly displays of Thai Boxing are carried out in specially built stadiums on Soi Sai Namyen. 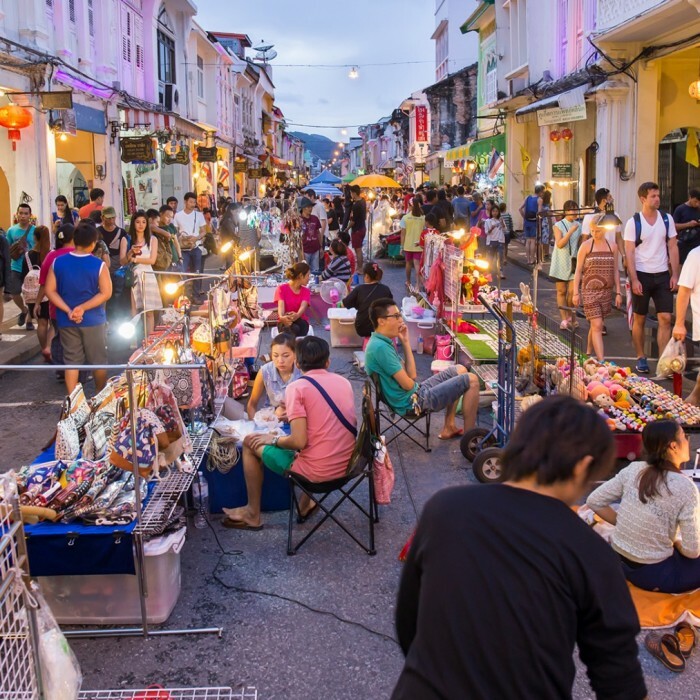 Bangla Road in Patong is the notorious heart of all Phuket nightlife, and the battle for night supremacy is raging between Beer Bars, Live Music, Night Clubs and of course, Go Go Bars! 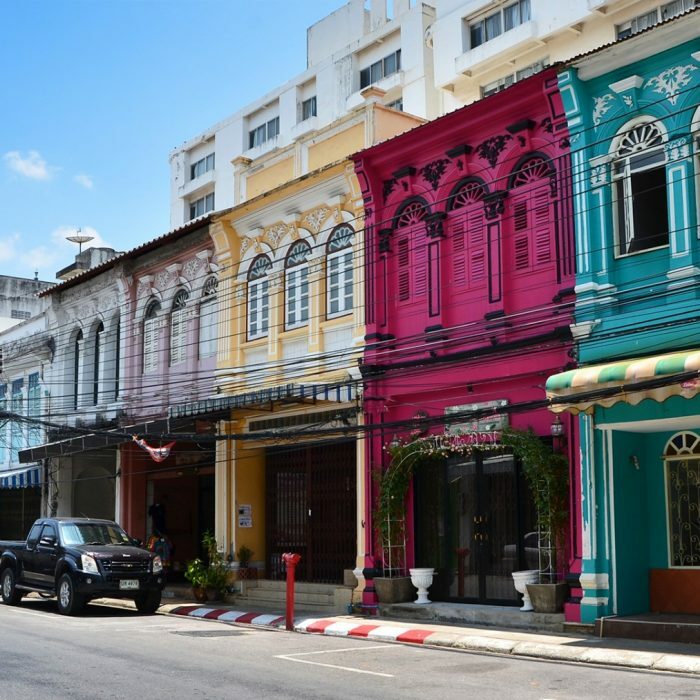 Over the years, the centre of interest has been moving up and down Bangla road depending on seasons and popularity but the ever changing face of Patong nightlife is definitely worth a look. Of course, wherever you go in Bangla, friendly girls will call you with a big smile and encourage you to have a drink and play a few silly bar games because everyone is welcome.